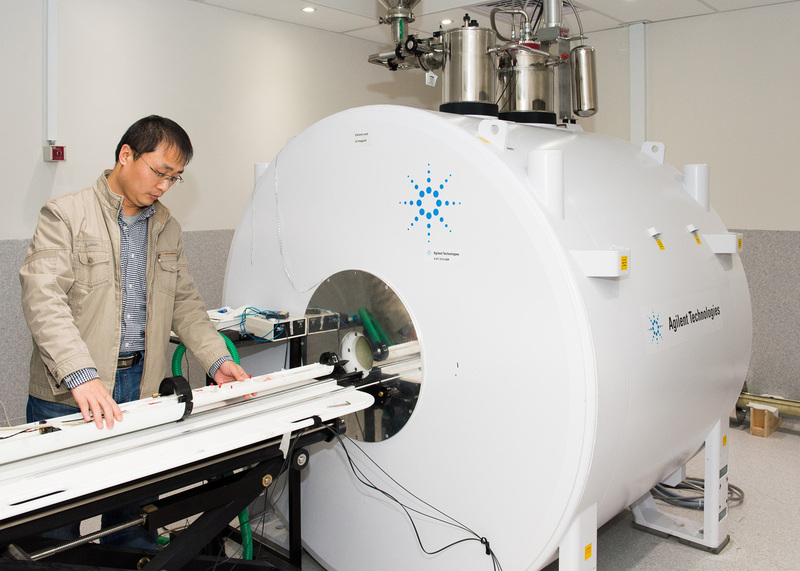 The 9.4T animal MRI system (Agilent) is a flexible and adaptable magnetic resonance imaging scanner for pre-clinical imaging and research. The system has an intuitive user interface and a flexible programming environment and can carry out a wide range of pre-clinical imaging functions. The ultra high magnetic field provides structural and functional images with higher resolution in comparison with clinical MRI. It can be used for brain, abdominal, cardiovascular, muscular and articular, as well as dynamic molecular imaging.